HÀ NỘI — Vietnamese tennis player Lý Hoàng Nam lost in the men’s singles second round of the China F2 Men’s Futures tournament yesterday in Anning city. Nam, world No 631, lost to Yang Tsung Hua of Chinese Taipei, world No 684, 6-4, 3-6, 2-6 in a match that lasted two hours and eight minutes. 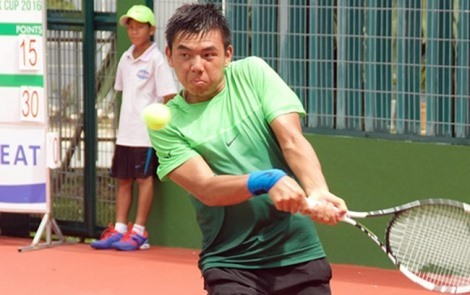 Earlier, Nam beat No 5 seed Franco Agameone of Argentina, world No 473, 6-3, 6-3 in the first round. In the first match in the men’s doubles category, Nam and his partner, Sun Fajing of China, who are the No 4 pair, were defeated by Huang Liang-chi of Chinese Taipei and Issei Okamura of Japan 6-7, 2-6.